The city of Machu Picchu is one of the seven wonders of the modern world; it is considered a World Heritage Site and is the main reason for creating the “Historic and Natural Sanctuary of Machu Picchu”; Which has many archaeological sites, some of which are still being investigated. 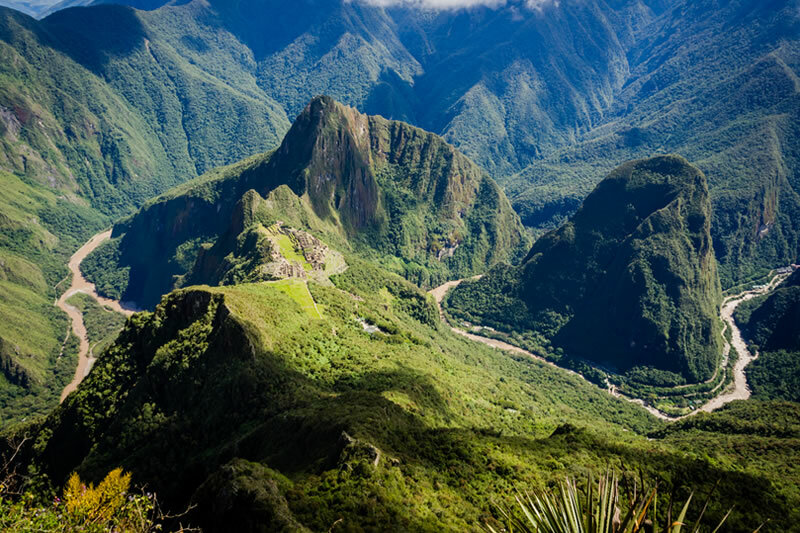 There are 32,592 hectares of valleys, mountains and rivers, which house many of the most amazing Inca constructions. Where is the Sanctuary of Machu Picchu? The Historic and Natural Sanctuary of Machu Picchu is located in the province of Urubamba, in the department of Cusco in Peru, embedded in a spectacular chain of mountains belonging to the Cordillera de los Andes and the jungle eyebrow of the Amazon Basin, Houses one of the most astounding historical legacies of human history, of the greatest civilization that ever existed in the Western Hemisphere; But it is not everything, its amazing natural features with exuberant flora and fauna, made that after becoming historical heritage, is also considered natural heritage of humanity. Historic sanctuary, because it houses the Inca City of Machu Picchu, the Inca Trail, and many other Inca and pre-Inca constructions; And natural sanctuary, because it has all the conditions to become one of the best biosphere reserves in the world, with lush animals and plants and some that can not be seen anywhere else. They inhabit one of the most amazing scenery of South America in the middle of amazing landscapes with green forests, under the huge cloud forest that covers the Inca city of Machu Picchu, surrounded by mountains. This space is protected by the Peruvian government and by entities from all over the world. Among the hundreds of species of plants and animals that exist in Machu Picchu there are two species in danger of extinction, Gallito de las Roccas (Peruvian National Bird) and the goggle bear or Andean bear. Machu Picchu houses the most amazing Inca buildings; These in turn, are some of the most incredible buildings in the world ; The stones with which their walls were built, rather than carved, seem to have been molded like plasticine to fit perfectly with each other as a puzzle, but that is not the most astonishing; Something even more incredible is that nobody knows how they did it, and even now with all the technology and the most powerful appliances, the detail and the quality of work that the Incas achieved with the stones can not be repeated. Machu Picchu has almost 200 structures between temples residences and other constructions with religious, ceremonial and agricultural purposes; However in Machu Picchu there are more things to discover; An example of this is the famous secret gate of Machu, which was discovered in 2010, although it has not yet been opened, light detection radars and ultrasonic images indicate that it could be nothing less than the tomb of Pachacútec ; If this is real, the finding would be only comparable with the finding of King Tut’s tomb in Egypt. The Intihuatana, the Temple of the Sun, the Temple of the 3 Windows, or the Temple of the Moon in the Mountain Huayna Picchu, are just some of the buildings that leave it with the mouth open. Very important!!! The Historic and Natural Sanctuary of Machu Picchu and of course the city of Machu Picchu is one of the most desired destinations for people all over the world, so if you want to visit, you will have to book Machu Picchu tickets in advance, check availability. A bird’s eye view, the territory of the Sanctuary appears to be a large open book in the middle, the mighty Urubamba River being its central part with two chains of mountains on either side of a deep valley covered with vegetation; In addition, some studies have revealed that the Inca city of Machu Picchu seen from the air has the form of bird, to be more exact, one of the birds that the Incas considered sacred, the Andean condor.